1 Die cut a piece of Vertigo Film into a wave pattern. 2. 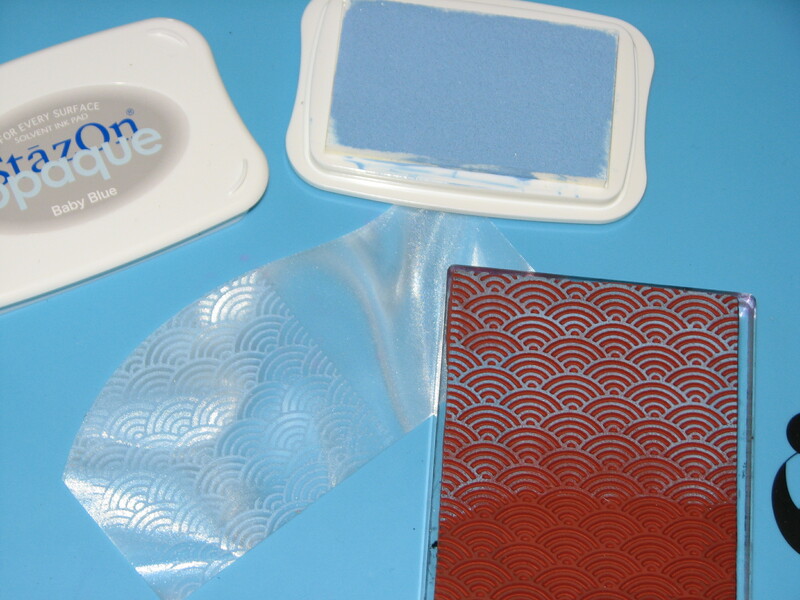 Stamp scallop pattern over the die cut Vertigo Film using Baby Blue StazOn Opaque Ink; set aside to dry. 3. 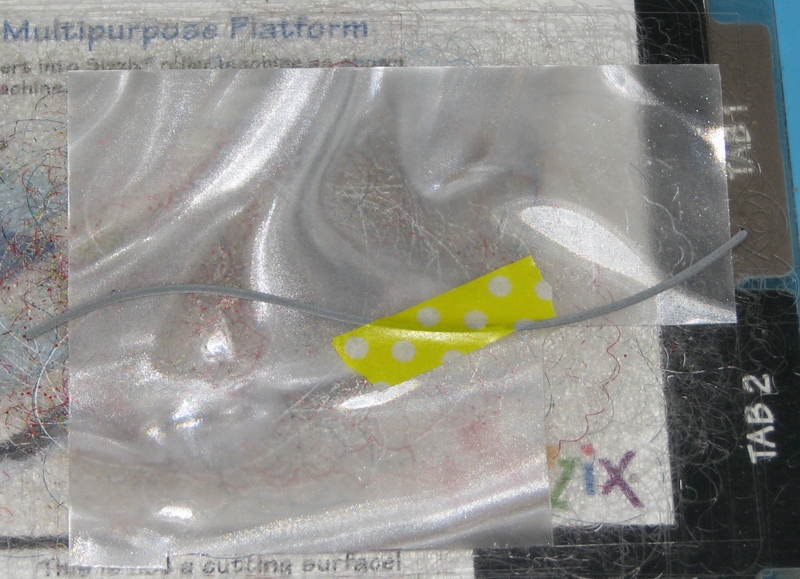 Cut acetate 5.5″ x 8.5″; score and fold in half. 4. 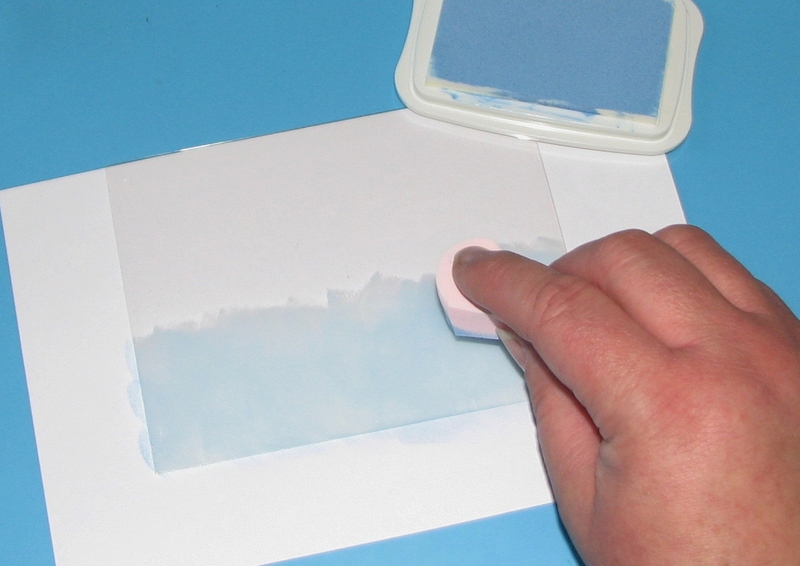 Place a scrap piece of paper in the center of the acetate card; apply Baby Blue StazOn ink the the bottom half of the card; apply Mellow Mint to the top half and blend the two together. This is now the back of the card. 5. Flip the card over, you will now be working on the reverse side of the blue/green background. 6. 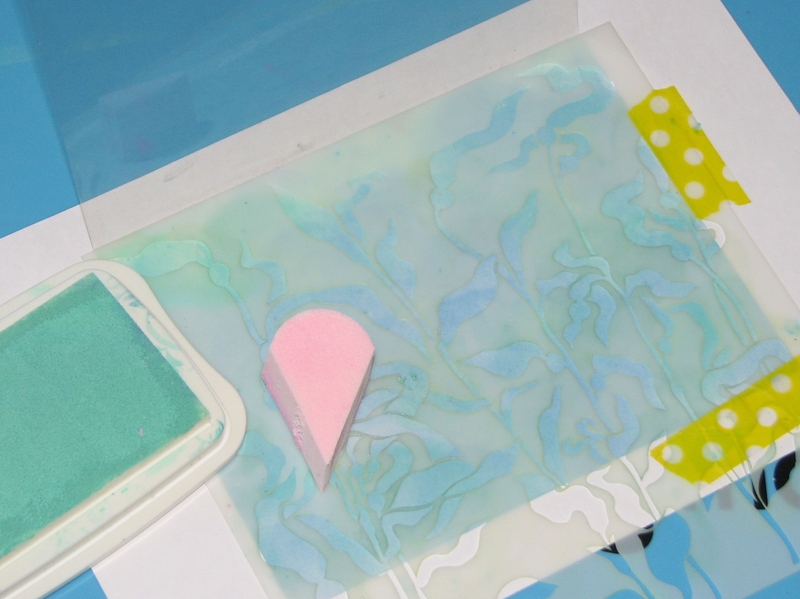 Position the Sea Kelp stencil over the inside of the card and temporarily affix it over the card using washi tape. 7. Apply a base coat of Mellow Mint over the entire stencil using an Ink Blusher. 8. Dab a bit of Emerald Green and Cactus Green StazOn Inks randomly over the initial layer of Mellow Mint. 9. Use the Mellow Mint Ink Blusher to blend the three inks over the stencil to create highlights and low lights in the sea kelp. 10. 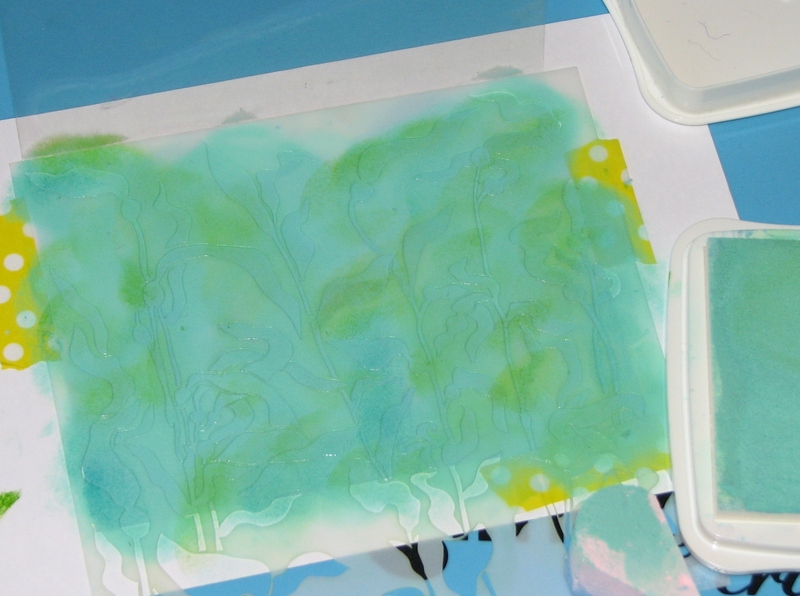 Remove the stencil and let the inks dry completely. 11. 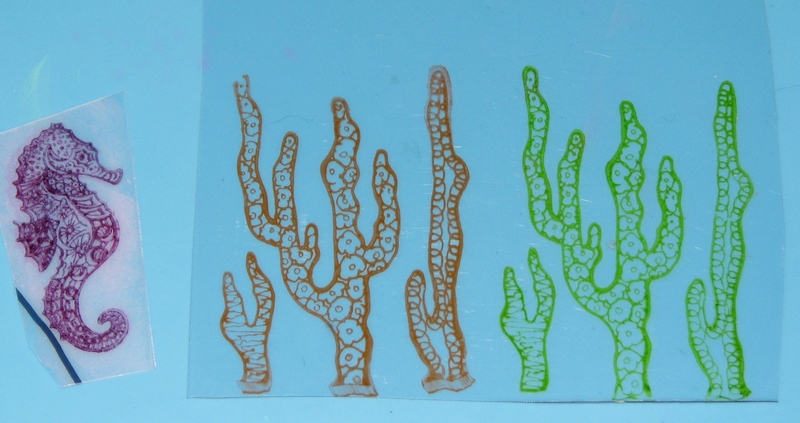 Stamp the coral, sea weed and sea horse images onto acetate using various colors of original StazOn Inks. 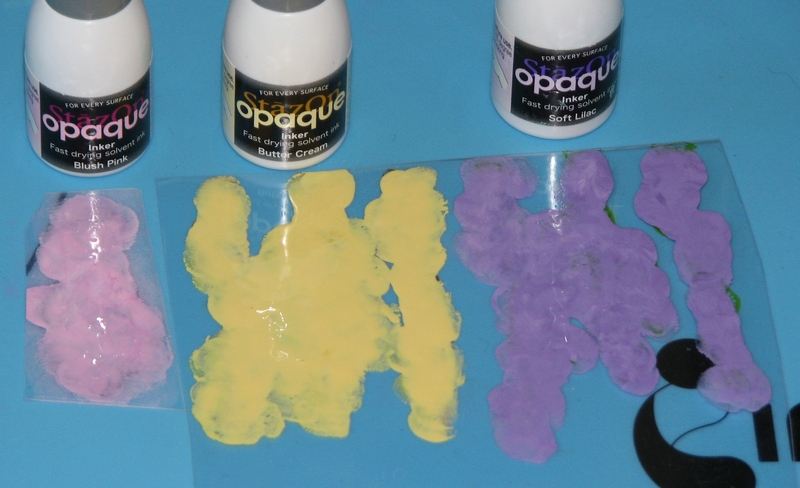 Orange Zest, Cactus Green, Gothic Purple were used for the examples. 12. 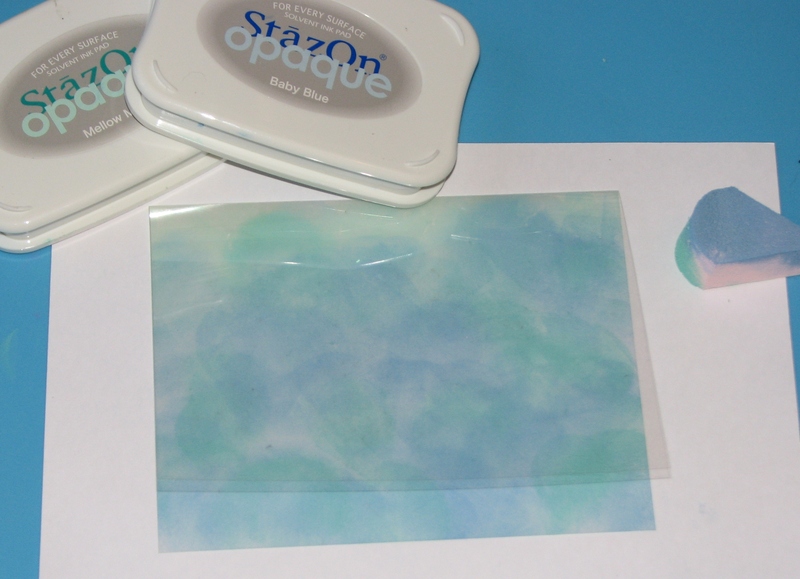 Dab StazOn Opaque inks on the back side of the stamped acetate to colorize the images. Blush Pink, Butter Cream and Soft Lilac StazOn Opaque inks were used for the examples. 13. 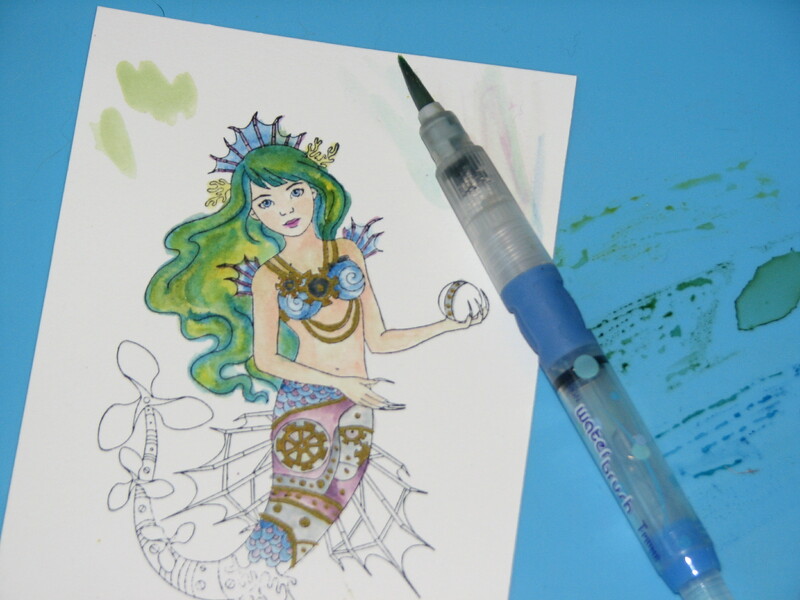 Stamp Steampunk Mermaid on a piece of white cardstock; use Memento Dye inks to water color the image. 14. Trim all of the stamped elements and Affix the die-cut and stamped Vertigo Film to the front of the acetate card using Tear It! Tape. 15. 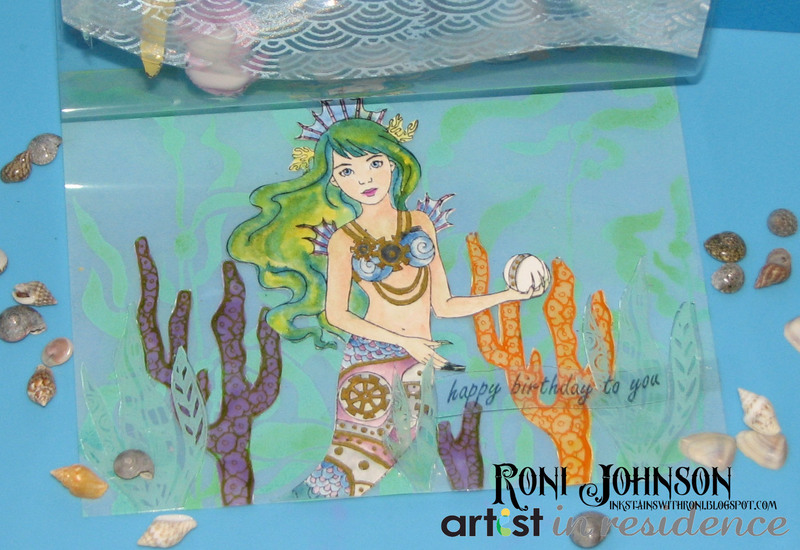 Tape the sea elements to the front and inside of the card and add the mermaid to the inside of the card. 16. Stamp the sentiment on the front of the card using Jet Black StazOn ink; stamp the inside sentiment on a scrap piece of acetate and affix to the inside of the card.